Dynamic performer Shawn Mativetsky is considered one of Canada’s leading ambassadors of the tabla, and is a pioneer in bridging the worlds of Western and Indian classical music. Called an “exceptional soloist” by critic Réjean Beaucage, WholeNote’s Andrew Timar adds that “as a leading disciple of the renowned Sharda Sahai, he has serious street cred.” Shawn Mativetsky is highly sought-after as both performer and educator, and is active in the promotion of the tabla and North Indian classical music through lectures, workshops, and performances across Canada and internationally. 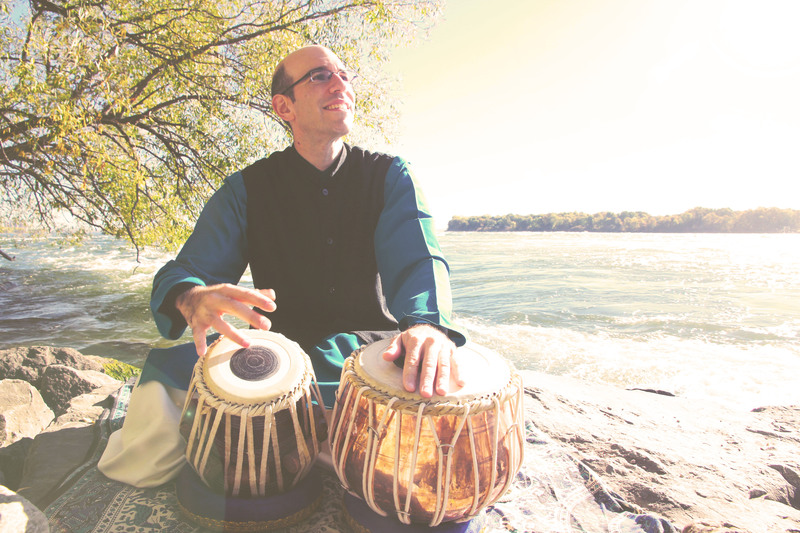 Based in Montreal, Shawn teaches tabla and percussion at McGill University. His solo album, Payton MacDonald: Works for Tabla, was released in 2007, and Cycles, his recording of Canadian compositions for tabla, was released in the fall of 2011. He recently released Rivers a solo tabla album rooted in the rich traditions of the Benares style of tabla playing. Shawn has performed numerous solo recitals, spanning Canada, the United States, the UK, India, and Brazil and has been featured in the Shastra Festival, Sound Symposium, Windsor Canadian Music Festival, Pontio / Music @ Bangor, Vale of Glamorgan Festival, New Music in New Spaces, Groundswell, Western Front, Open Space, VICO’s Global Soundscapes Festival, Festival Montréal Baroque, Jusqu’aux Oreilles, Evolutions, Voyages: Montréal-New York, Festival International du Domaine Forget, New Works Calgary, Music Toronto, and the Percussive Arts Society International Convention. As an ensemble musician, Shawn Mativetsky performs with pianist Xenia Pestova, violinist Parmela Attariwala’s cross-cultural Attar Project, Indo-fusion group Ragleela, Indian-folk group Galitcha, the improv trio Of Sound, Mind and Body with Tim Brady and Helmut Lipsky, and percussion group Ensemble Duniya. A versatile studio musician, Shawn has appeared on albums by Yann Perreau, Elephant Stone, Suzie Leblanc, Ramachandra Borcar, and Daniel Lavoie. Regular performances with Galitcha have led to concerts across Canada and the US, as well as tours to France and Tunisia, the chance to play with guest musicians such as Pt. Vishwa Mohan Bhatt, Salil Bhatt, Harry Manx, and Yves Lambert, as well as a performance for the Duke and Duchess of Cambridge, during their visit to Canada.